Mrs. Katerina, her full name is Katerina Hovorkova. 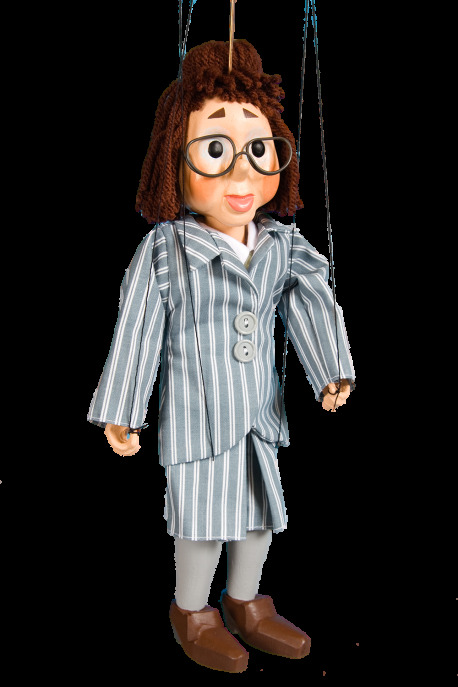 She is the youngest of all puppets from Spejbl and Hurvinek theater. Manicka called her "babinko". 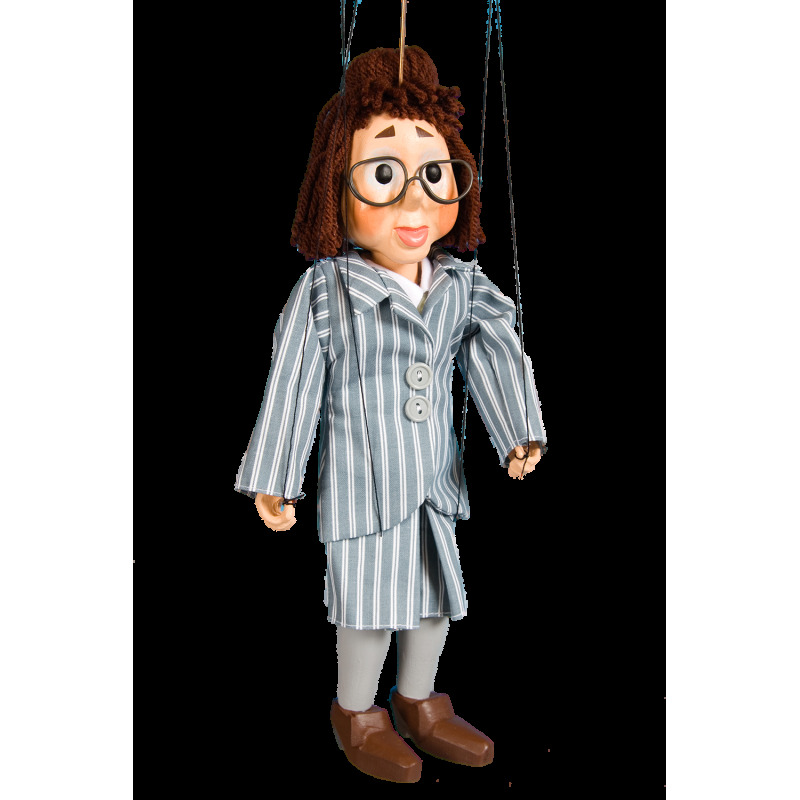 Puppet is made in lincense. Size 27cm, legs and hands are wooden, head is from hard plaster.